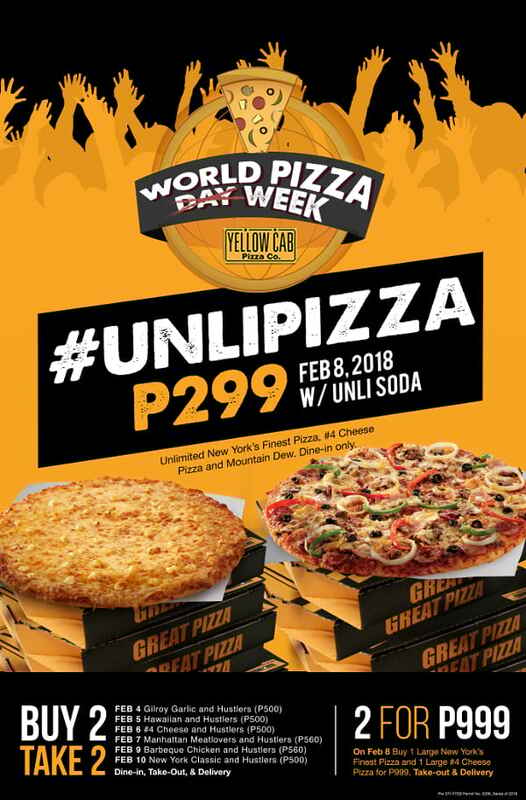 Yellow Cab Pizza Co.’s highly anticipated #UNLIPIZZA promo is back as they turn World Pizza Day into a week-long event to celebrate the hunger of pizza lovers all over the country. The first Yellow Cab World Pizza Week will run from Feb 4 - 10, 2018, featuring different daily BUY 2 TAKE 2 promos and for one day only, the #UNLIPIZZA promo. 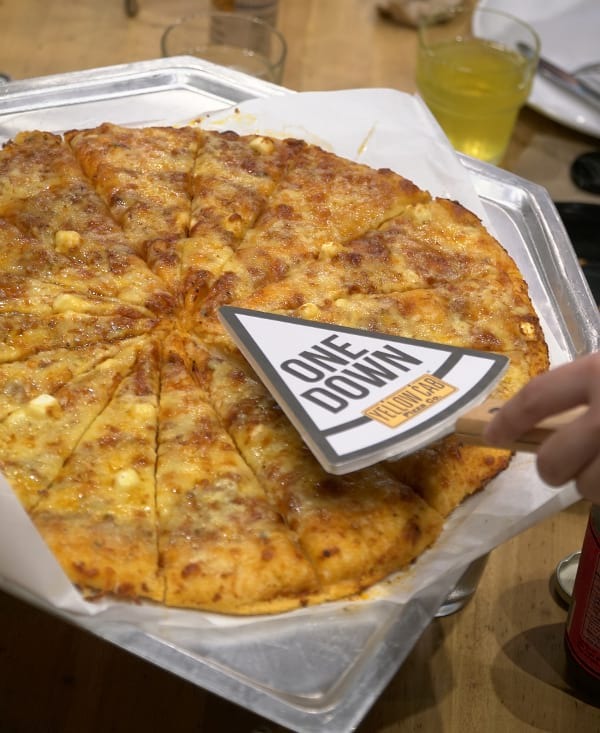 “We at Yellow Cab know that one day is not enough to fuel the hunger of all the pizza lovers out there; which is why this year, we brought everyone’s favorite World Pizza Day back, even bigger and better. 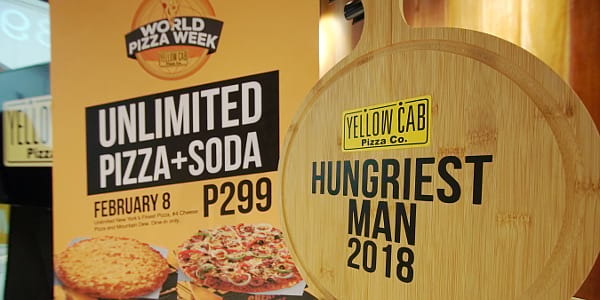 With World Pizza Week, Yellow Cab can fuel your hunger all week long.” said Mark De Joya, Yellow Cab’s Brand Development Director. For the World Pizza Day celebration (Feb 8), get all-you-can-eat slices of New York’s Finest Pizza and #4 Cheese Pizza with free-flowing Mountain Dew for only P299 when you dine-in at Yellow Cab from 12:00 AM - 11:59 PM. 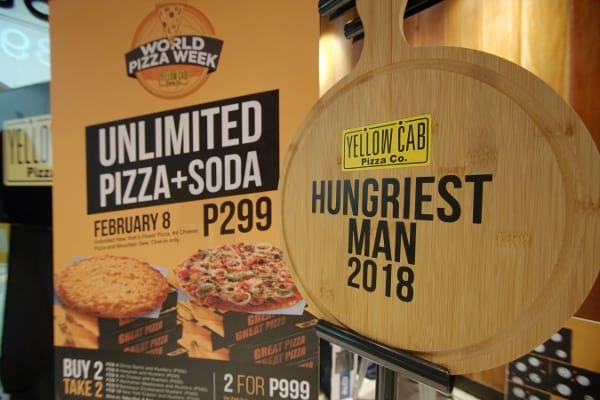 To fuel your hunger throughout the rest of the week, Yellow Cab will be offering unique BUY 2 TAKE 2 promos daily: Feb 4 – Gilroy Garlic and Hustlers (P500); Feb 5 – Hawaiian and Hustlers (P500); Feb 6 - #4 Cheese and Hustlers (P500); Feb 7 – Manhattan Meatlovers and Hustlers (P560); Feb 9 – Barbeque Chicken and Hustlers (P560); Feb 10 – New York Classic and Hustlers (P500), valid for Dine-in, Take-out, and Delivery. Mark your calendars and let Yellow Cab fuel your hunger with World Pizza Week! This promo is valid in all Yellow Cab branches except Kidzania, NAIA, MOA Arena, Brent, and Camaya. Per DTI-FTEB Permit No. 0206 Series of 2018.